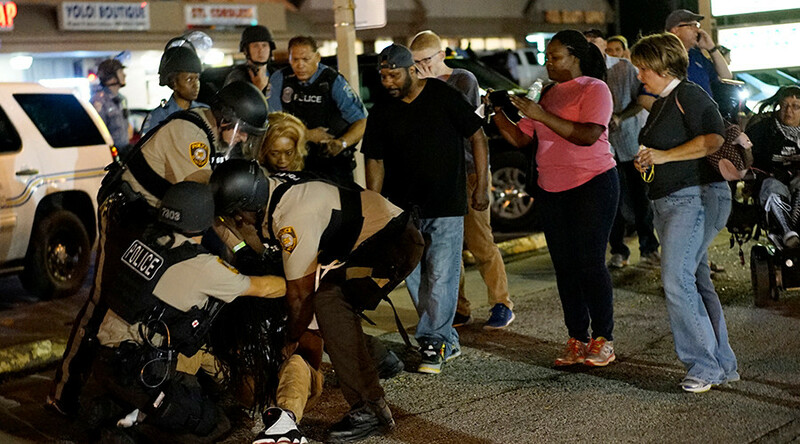 The US city of Ferguson lit up with protests following news that police officer Darren Wilson, who shot black teenager Michael Brown, would not face criminal charges. 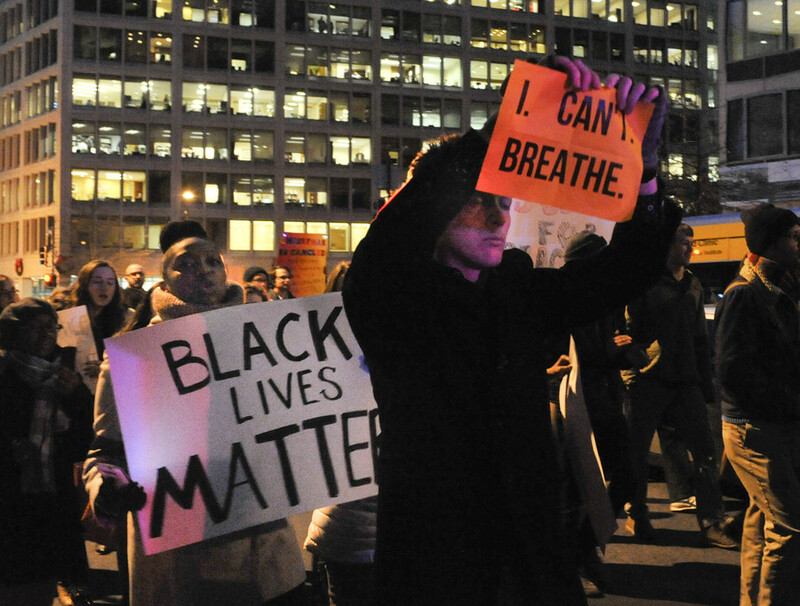 The protests became central to the Black Lives Matter movement. On August 9, 2014, unarmed black teenager Michael Brown was fatally shot by a white police officer in Ferguson, Missouri. The killing sparked nationwide protests against police brutality, but justice has only come in the form of a monetary settlement. A protester who claims police officers violated his constitutional rights during a protest in Ferguson, following the fatal shooting of Michael Brown, has won the right to have his claims revived. Other claims against officials were also restored. 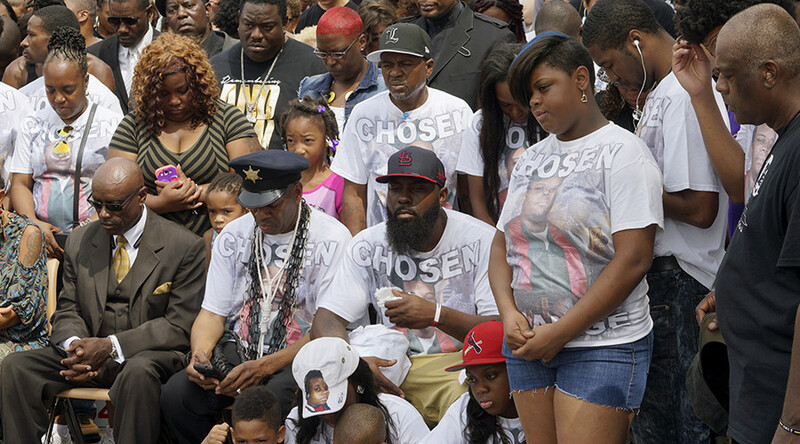 Nearly three years after a white police officer shot and killed an African-American teen, his parents have settled their wrongful death lawsuit against Ferguson, Missouri. 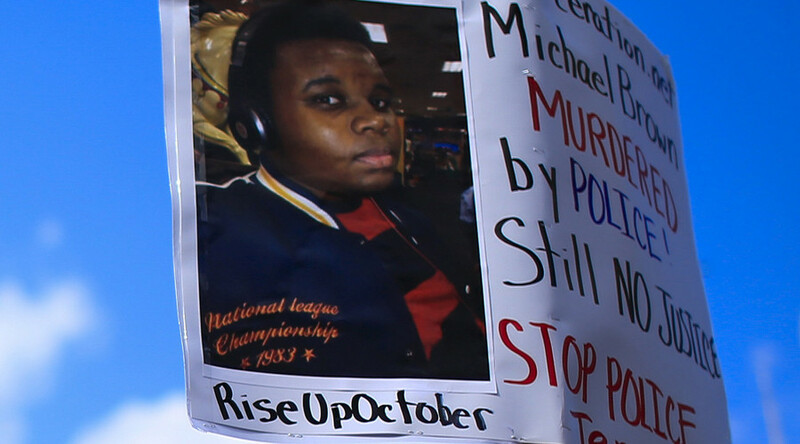 Michael Brown’s death provoked nationwide protests against police brutality. 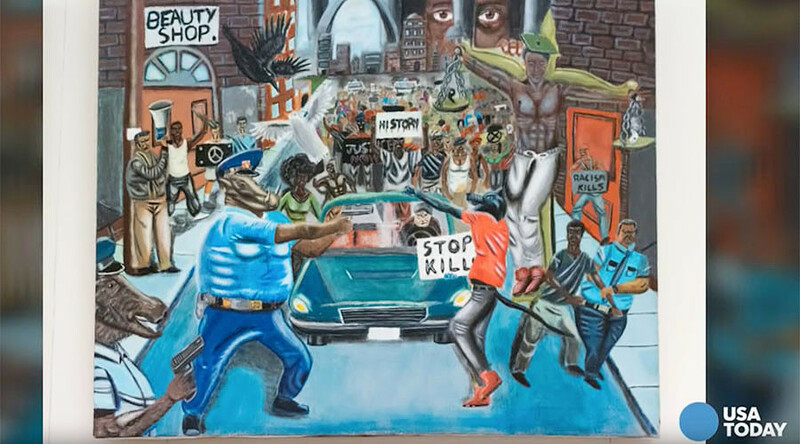 A federal judge has denied redemption for the removal of a US Capitol painting depicting cops as violent pigs, stating the artist’s free-speech rights were not violated when the painting was removed after protests by Republicans. A new tape showing Michael Brown hours before his death in a store, apparently exchanging pot for cigarillos, challenges police accounts of the incident. 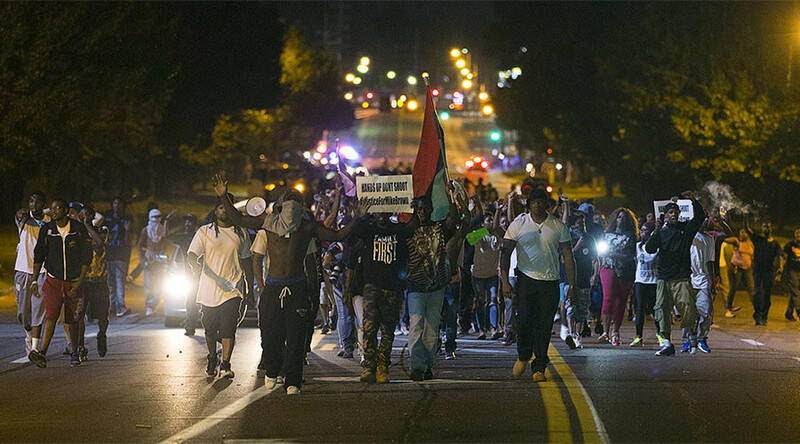 The black teen’s killing for suspected robbery triggered mass protests against police violence worldwide.